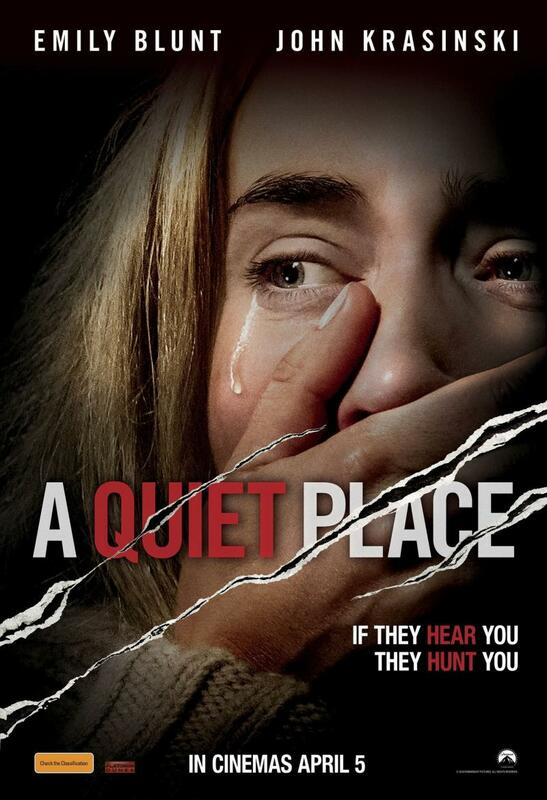 This year's breakout hit "A Quiet Place" unleashed carnivorous aliens, while in "I am Legend," "The Andromeda Strain," "12 Monkeys" and the "Planet of the Apes" movies, the bad guy was a virus. From the Bible to Nostradamus, the Mayan calendar and the Millennium Bug, fatalists, fantasists and the fervently religious have long been fascinated by the end of the world. Movie directors love nothing more than feeding our deepest fears concerning overpopulation, pestilence and nuclear armageddon -- and the cinema-going public laps it up. The glut of dystopian fiction coming to theaters and video-on-demand over the coming months includes Peter Jackson's "Mortal Engines," Kim Jee-woon's "Inrang" and Myroslav Slaboshpytskyi's "Luxembourg." Shawn Robbins, the chief analyst at Boxoffice.com, sees the genre as the "definition of escapism," an art form that assuages the primal desire to get back to basics. "These types of films are often viewed as pessimistic glimpses into the future, which is certainly one valid interpretation, but they can also be self-reflective in a positive way," he told AFP. "It's easy to see post-apocalyptic and dystopian film settings as part of our inevitable doom, but we can also take them as lessons and parables because, at the heart of any good story, the human condition is explored and challenged." Zombies, big rocks from outer space and our own weapons of mass destruction are often the cause of the fictional apocalypse, but not always. Geophysical disasters do for the human race in "Soylent Green," "Waterworld," and "Wall-E," while technology is the enemy in "Logan's Run" and the various "Terminator" and "Matrix" movies. George Miller's 1979-2015 "Mad Max" films have inspired an army of so-called "cosplayers" who meet up at festivals to live out their fantasies as road warriors seeing in the collapse of civilization. Every summer, more than 2,000 desk jockeys leave their day jobs across America to decamp to the Wasteland Weekend festival in the heat of the southern Californian desert. "It's a chance to get away from the regular rat race life and have fun," 52-year-old Joseph Hileman, a security supervisor from Concord, near San Francisco, told AFP on his seventh visit in 2016. Filmmaker Mike P. Nelson's own pulpy take on the apocalypse, a slick but bloody 95-minute shocker called "The Domestics," came out in select US theaters and on video-on-demand over the weekend. "There's a slight bit of macabre fascination with the idea that we could all be done for at any time, whether people want to admit it or not," he said in an interview. "There's a strange almost-fantasy in most people's minds that this is something that could happen. And I think some of these movies give us that glimpse and allow us to be fearful for a moment but safe." Starring Kate Bosworth ("Blue Crush"), and Tyler Hoechlin ("Fifty Shades Freed"), "The Domestics" is set in America's Midwest, transformed into a lawless wasteland after a government-induced chemical atrocity. Bosworth and Tyler -- an estranged couple who were preparing for their divorce before the world went dark -- must learn to survive in a harrowing, gang-ravaged landscape. Nelson said he was going for the near-future, down-to-earth look of the original "Mad Max" rather than the more stylized landscapes of recent dystopian sci-fi. "It created this world that wasn't too far gone and people still drove on the right side of the road, ate at restaurants. There was still kind of a police force," he said. "But it was the people that had turned bad. That was what fascinated me, and I was like, 'I want to do something that's similar to that.' I wanted to tell a story about how the people of this world go sour after something terrible happens."